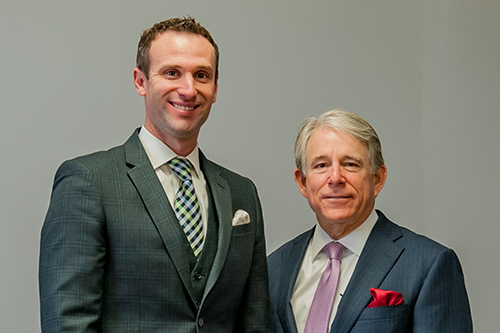 Raymond Bertasi and Nathan Kinard, Wealth Management Advisor and Managing Director at Northwestern Mutual-Little Rock, work together to provide comprehensive financial strategies, education and expert advice. Raymond and Nathan are backed by a full team and a large network of specialists and strategic partners. As your Wealth Management Advisor, Raymond Bertasi will listen, clarify and help prioritize your goals and aspirations before developing a financial strategy designed to help you achieve your vision for the future. Let Raymond Bertasi and his team help you ensure your financial future is all you want it to be. Do you know the six biggest risks to a secure retirement and how to plan for them? The accumulation and management of wealth can bring a sense of freedom and accomplishment. However, planning your financial future first means understanding your goals and aspirations. 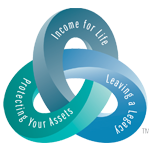 Develop a financial blueprint for building wealth. Time constraints in daily life make it difficult to identify and develop wealth management strategies that align with your financial goals. Maintaining wealth means understanding the complex issues around wealth management and the ways they can affect your future. The legacy you leave, whether to your family or causes you believe in, depends on the plan you prepare. Charitable giving as part of wealth management and your legacy can be very rewarding for you, your family and a charitable organization. Have an impact on future generations and your community by leaving a legacy. Estate planning is not just about taxes; it is a personal process grounded in the attitudes, beliefs and traditions that you consider important. Wealth management and estate planning go hand-in-hand, and Northwestern Mutual can help your develop and implement a plan to disburse your wealth according to your goals.